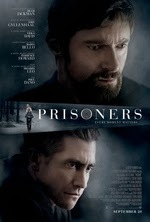 Prisoners begs the question – “Is there anything you wouldn’t do to save your child?” The film stars Hugh Jackman as a father pushed to the limits of desperation after his young daughter disappears. A well-executed mystery, Prisoners slowly unravels revealing its startling secrets so unexpectedly it’s impossible to figure out what’s coming next. With Jackman and co-star Jake Gyllenhaal’s powerhouse performances and an unforgettable ending, Prisoners is pulp fiction at its best. 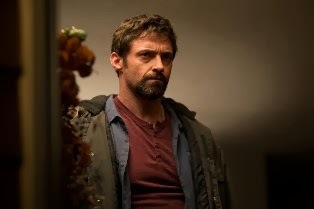 Keller Dover (Jackman) is the kind of guy who likes to do things for himself. He keeps a basement full of canned food, emergency supplies, and shotguns, just in case his family should have to fend for itself. When his six-year-old daughter Anna (Erin Gerasimovich) is abducted, along with their neighbor’s daughter Joy (Kyla Drew Simmons), Dover takes it upon himself to get the kids back. His methods are at odds with those of Detective Loki (Gyllenhaal), who would prefer Dover stay out of things altogether. Neither Dover nor Loki are very likable characters. Dover is an abrasive know-it-all with control issues (and a resurfacing drinking problem) and Loki is an odd loner who prides himself on figuring out things on his own. The fact that these two men think they can do everything themselves works well for the story. Each man thinks he is doing the right thing, but their egos prevent them from working together. This leads Dover down a dark path, with Loki left unaware of some key facts regarding his own case. The irony is, if they each knew what the other was doing, things would come together much easier. But this is a movie and we don’t want things to be easy. Instead we see Dover getting himself deeper and deeper into an impossible situation. He’s in so deep it’s hard to feel sympathy for him. I don’t want to give too much away, but when he zeroes in on who he thinks is the kidnapper – the mentally challenged Alex (Paul Dano) – there is nothing that will convince him otherwise. Dover’s obsession with Alex is terrifying. Prisoners is a haunting mystery that keeps the viewer guessing. We slowly realize that every little piece means something and the thrill is in trying to put them all together. Though it’s ultimately fairly implausible, the story is so expertly told you probably won’t be bothered by the pulpier, fanciful elements. My only real complaint is the side characters were underutilized. Maria Bello as Dover’s wife is barely given anything to do other than lie around in bed, zoned out on meds, grieving for her daughter. 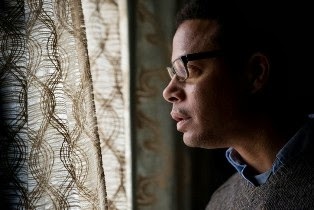 Terrence Howard, Dover’s more morally-bound friend Franklin, and father of the missing Joy, kind of disappears about half-way through. And Viola Davis, as Franklin’s wife, is barely a presence. It’s a shame because each of these characters had their own interesting take on the situation. However, there is only so much screen time available and Jackman and Gyllenhaal hardly wear out their welcome. See Prisoners before anyone spoils its plot twists for you. Director Denis Villeneuve and screenwriter Aaron Guzikowski have crafted a disturbing, adult-oriented suspense thriller that keeps the viewer riveted from beginning till end.